Degradable – Biodegradable – Compostable what is the difference? No straw is the best option, followed closely by a re-usable sort if you must have a straw. We strongly discourage single-use straws as they are ‘single-use’ used once and then instantaneous waste. 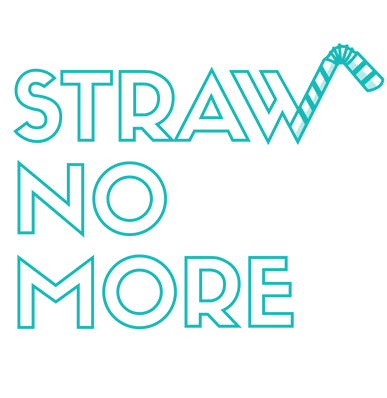 But… if you must have a straw that is single use PAPER straws are the only alternative that will degrade in water eventually – keeping in mind that everything leads to the ocean (one way or another) straws need to be able to go soft so they don’t obstruct airways/mouths of marine life. Paper straws are the only straws that will eventually go soft, read on to find out why straws that are often ‘biodegradable or compostable’ aren’t so environmentally friendly. Remember: Don’t be fooled by straws that say they are ‘degradable’ or ‘compostable’ as they can be just as bad as plastic. Often waste isn’t disposed of in conditions that allow it to be ‘compostable’ these types of alternatives require specific temperatures and environments in order for the chemical breakdown to occur. Sadly many councils don’t have this type of waste disposal and these compostable items sit in landfill for a long time. For a compostable plastic to biodegrade it has to be in a commercial compost facility with temperatures of 60 deg C, plenty of oxygen and good moisture levels. If those conditions are not met, the compostable plastic will not biodegrade as the microorganisms need those conditions to live. THINK – When you use straws at your business do you separate them from normal rubbish, into compostable? Does you Council even offer a compostable service that will break down such plastic? BUT… For them to biodegrade means they have to be exposed to the right level of oxygen, UV light and temperature – which putting them in the kitchen garbage bag wont allow, nor will many councils in Australia. When they do get exposed to the right conditions they actually break up into smaller fragments. As they degrade at different rates when in rubbish piles, some parts then become smaller and easily blown away/ingested by animals. If they end up in sea water (aka Cairns Marina = GBR) they remain as rigid as a plastic straw as the salt water does not allow the polymers in them to break down. Lastly, a lot of ‘biodegradable’ straws that are on the market actually have plastic polymers in them still and are hidden in the very fine print! Sneaky – I know! THINK – Where do you put the straw once you take it out of a glass? In the kitchen Bin? Degradable items as the name suggests means the item will degrade. But degrading into smaller pieces just means that it becomes even more consumable to marine life! And we end up with 1000’s of pieces of plastic as opposed to just one! Bad – just don’t go here at all! The best option is obviously NOT having straws on board. But some people do need straws for dietary and lifestyle purposes. Paper – we recommend cafes, restaurants, resorts boats and bars to opt for paper straws if they must have straws. *Make sure your paper straws don’t have a plastic coating inside. ALWAYS be sure to check the specifics of the straws before purchasing. *Often companies hide items like ‘plastic coating’ in paper straws, make it sound like their straws are great because they are ‘compostable’. The above information has been sourced from the Tangaroa Blue Foundation and Bio-Gone plastics.